Thank you to everyone that participated in the assignment. As usual, this “assignment” gave me a little extra incentive to get out and photograph and explore techniques that I might not otherwise pay any attention to. The guidelines for the "Motion" assignment were: "You can choose to use a photographic technique (slow shutter speed, rear flash sync, panning, etc.) to illustrate motion, or you can submit an image to illustrate the "concept" of motion. Better yet, visualize and capture an image that employs both a photographic technique and a "concept" to illustrate the theme of "motion." The key to a successful image was to select a shutter speed that was slow enough to provide some motion blur, yet fast enough to keep detail in key parts of the image. A quick scan through the shooting data of the images will give you an idea of the range of shutter speeds that was necessary to provide this effect. Most of the shutter speeds ranged between 1/3rd and 1/30th of a second. The “best” shutter speed depends on how fast the primary subject is moving, and how fast the shutter speed needed to be in order to keep the “stationary” portions of the image sharp. 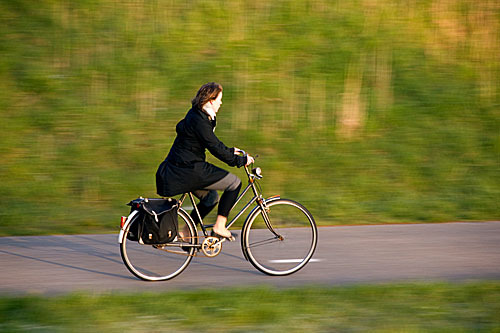 One of the traditional ways to photograph a moving object and convey a sense of motion is by “panning.” The photographer moves the camera and lens in sync with a subject that is moving relative to the background, and takes the image at a shutter speed just fast enough to render a sharp image on the subject, but slow enough to blur the background. Cindy (cmhimages) used panning very effectively on “One Fast Banana” (shutter speed of 1/40th of a second) and “Early Morning Biker” (shutter speed of 1/30th of a second). The streaked background emulates the “blur” we perceive when fast moving objects are whizzing by. Several of us traveled to Crested Butte, Colorado for a weekend outing and took advantage of the opportunity to photograph moving water on Waterfall Creek and Coal Creek. The challenge was to use a slow enough shutter speed to allow the motion of the water to create a soft blurring effect and simulate the look of flowing water, yet keep enough detail in the water that it didn’t look like a featureless blob. I found that shutter speeds between 1/3rd and 1/15th of a second provided the most pleasing effect. 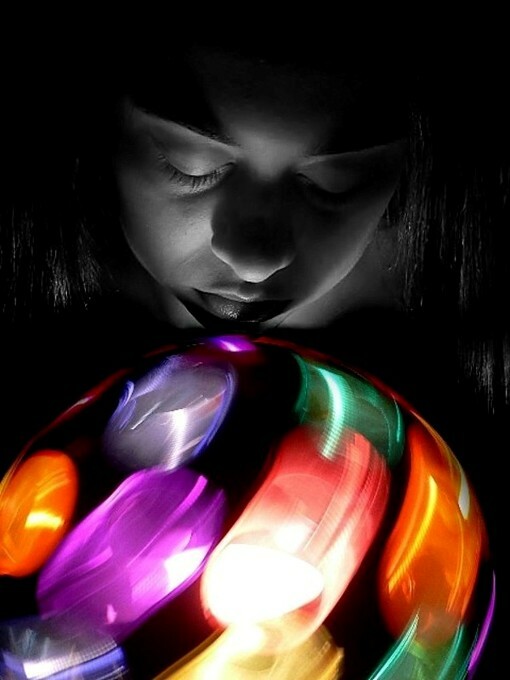 There were many great images submitted for this assignment. Of these, “Hypnotic Spin,” by Naomi, and "The Chaleur," by Cindy (cmhimgages) tied for the “People’s Choice” (popular vote). The Editor’s Choice for Artistic Merit goes “Hypnotic Spin." This was another very well executed image where Naomi used bright colors to catch the viewer’s eye, in concert with an intriguing portrait that provided human interest. She used a shutter speed of ¼ of a second to capture the whirling blur of the “astro ball” and provide a sensation of motion. Well done. I would like to have seen this image with the subject’s eyes open, as I can image that it would have resulted in an even more “riveting” image. The Editor’s Choice for Technical Merit goes to “The Chaleur” submitted by Cindy (cmhimages). As the comments in the gallery reflect, this image was VERY effective at conveying the feeling of motion. The technical execution of this image was nearly perfect. 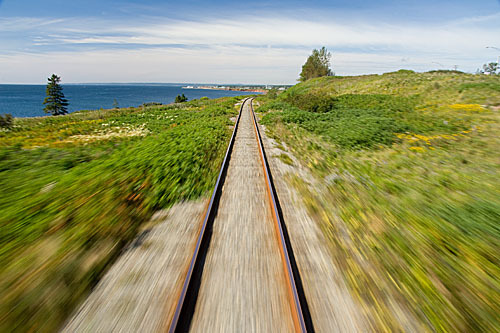 Cindy used a slow shutter speed (1/30th of a second) to create the effect of fast moving objects whizzing by the side of the train, yet she managed to keep key elements of the scene (the coastline in the distance) sharply defined. She was able to do this because she used a wide angle lens (18mm) which emphasized the relative movement of foreground elements, and rendered a perspective such that movement of the distant elements in the scene was insignificant. Honorable Mention goes to “Coal Creek.” This was a very nicely done image by Ellen (jecc). 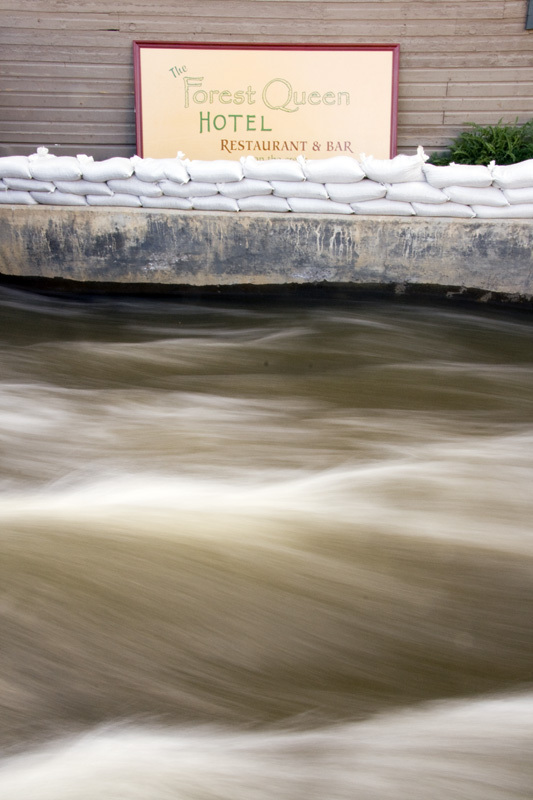 Ellen used a slow shutter speed (1/4th of a second) to blur the water in the creek, and “anchored” the scene with the clearly defined row of sandbags and hotel sign. The sign expanded on the “story” being told by the image, and added a human element to the composition as the viewer recognized that the owners of the hotel were probably a bit worried about the rising water levels, and the destructive power of the water rushing by a mere foot away from their livelihood.